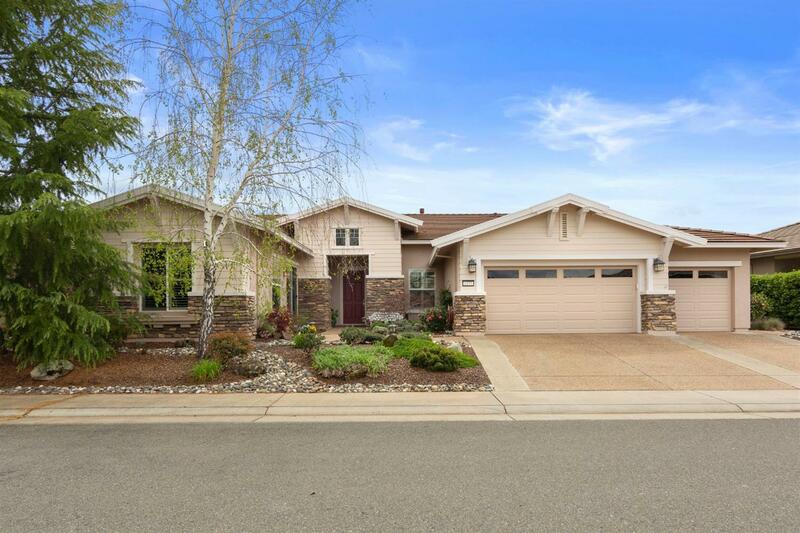 Ideal Sonoma on gorgeous golf course lot. Kitchen features silestone counters, brand new kitchen suite of top of the line black stainless LG appliances. Center island, pendant lighting, over and under cabinet lighting, pull-out shelving, lighted cabinetry. Casita can be used as an office, family room, or use our imagination. Large tile flooring on the diagonal. Fireplace, entertainment center niche, crown molding every room except closets! Master bedroom has a bay window and french door to patio, Master bath features shower and large soaking tub. Window coverings throughout, including plantation shutters and new easy hide vertical pleated shades at slider to back patio. Slider from front courtyard to nook. Cabinets at laundry. Upgraded plumbing fixtures. Upgraded cherry Cabinets throughout. Surround sound, paid solar, recent exterior paint. Central Vac, ADT larm system, Home Network, Epoxy garage floor. Beautiful golf and distant open space view. Original lot premium was $175, 000!